In my opinion pig suede is the best looking material to use for lining a box. It has a wonderfully soft, warm and rich feel. 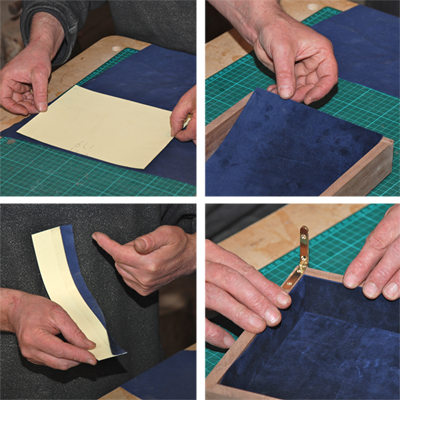 And it’s very thin, typically around 0.5 mm, enabling you to get slim, neat folds along the lid margins, very difficult to achieve with many other materials, particularly thicker leather or velvet. It’s also very easy to fit use in conjunction with my self-adhesive card. Click on the ‘lining advice’ tab below for advice on fitting, and some important dos and don’ts. 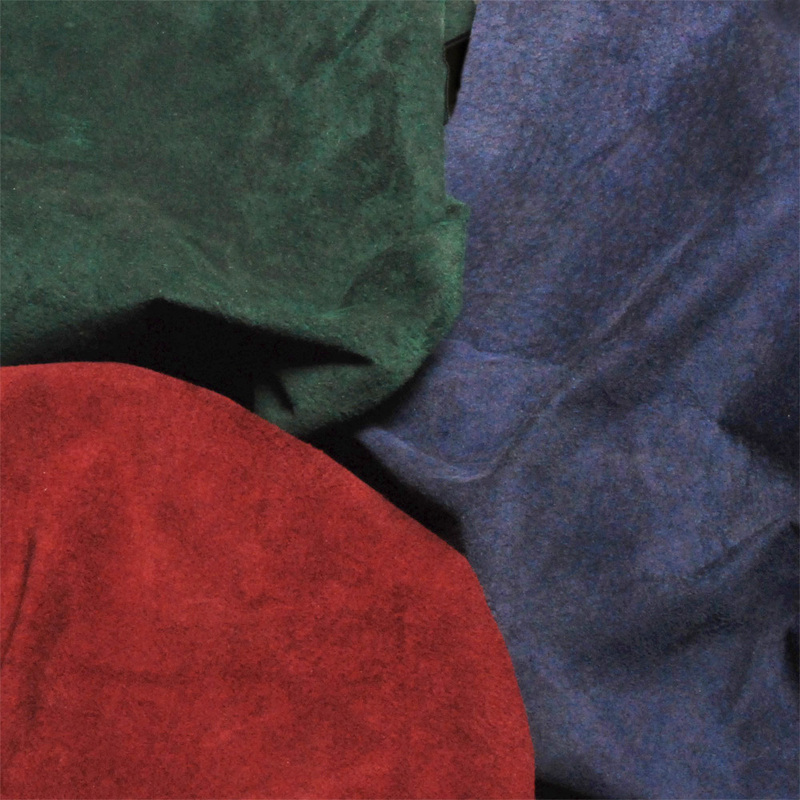 I’m offering three colours for now, blue, claret and green – all lovely rich colours. I will gradually add more colours – let me know if there’s a colour you need, I sometimes have others and will be adding more to the stock. The skins are irregular around the outside, of course, but these areas can be used for smaller lined elements – compartments of trays and so on, so it’s possible for there to be almost no waste. The edges are also the most stretchy making them ideal for covering awkward shaped pieces, for instance in a cutlery case. 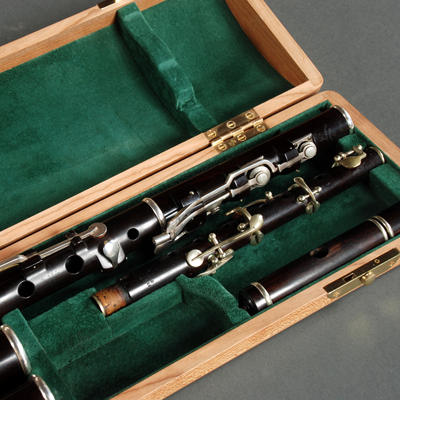 I use these bits all the time for covering the more complicated elements of the insides of flute cases … no folds or cuts! • Measure internal height [to lid margin] with base piece in place, cut strips of the card for vertical faces 0.5 – 1mm less than this value, depending on thickness of leather. • Measure front and back exact length, attach card to leather and trim allowing 1/2″ extra leather along top edges. 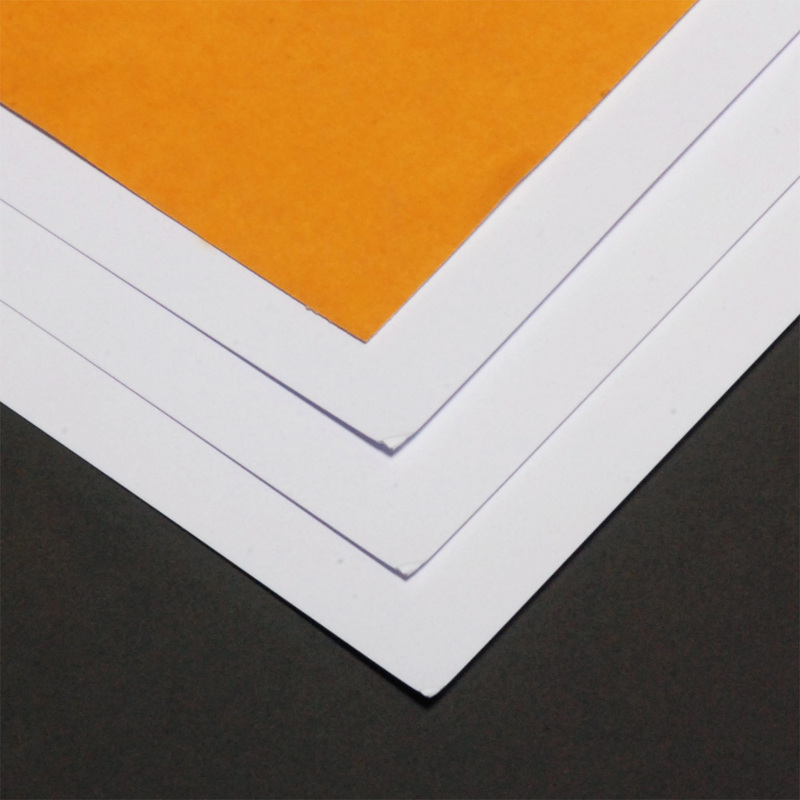 Affix 1/2″ double sided tape along the top edge of the back of the card and carefully fold over the leather forming the top edges and fit in place. • Measure between these pieces for the ends and repeat for these. • Repeat for the lid. 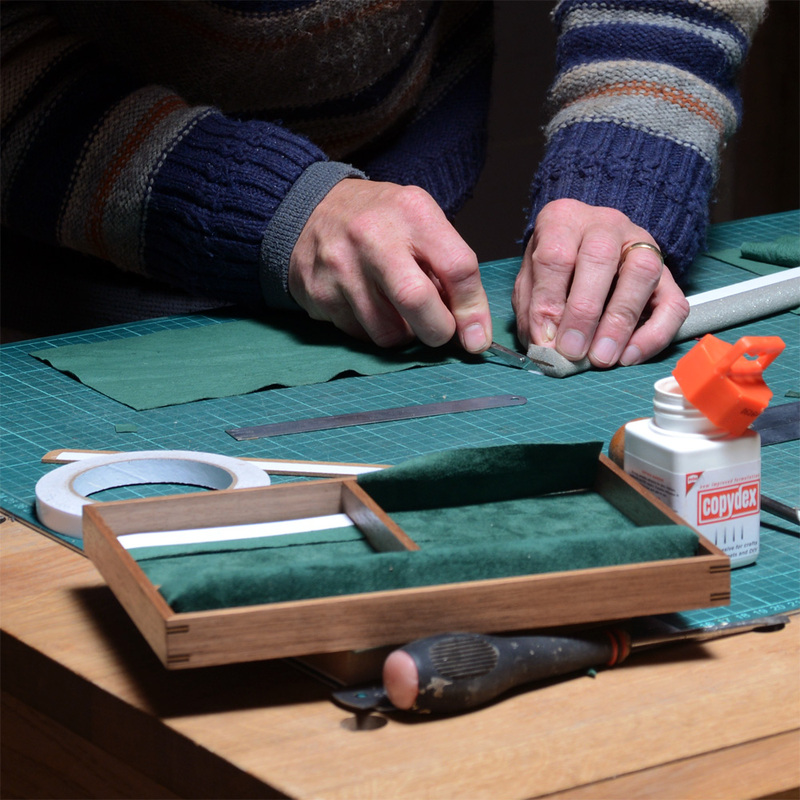 NB: The only edges that need folding over are where they are visible at the lid margin – all others are left as raw cut edges as they are covered by the other pieces as you fit them. I will be adding more advice and options in due course, including advice on fitting supports for trays, covering more complicated shapes and some more general lining dos and don’ts. [smartLock] – the quality of the lock and key is amazing – just what I was looking for!! … for all my future projects I will only use your hardware as it is so superior to anything else out there in the marketplace.